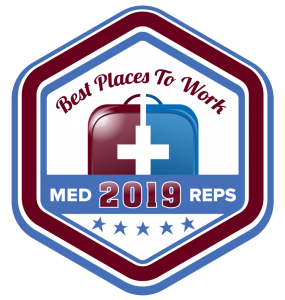 The MedReps community has voted and the results are in – Medtronic is the #1 Place to Work in Medical Sales – with Stryker and Johnson & Johnson coming in a close second and third. How did these companies earn the top spots? 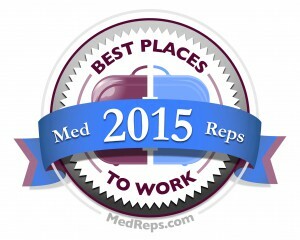 Over 1,400 medical sales professionals participated in our 4th Annual Best Places to Work in Medical Sales survey, answering the question, “Where would you most like to work?” Medtronic, Stryker and Johnson & Johnson won the most votes overall, but we also named winners in the medical device, pharmaceutical, and biotech categories. See the full list of winners to the left. 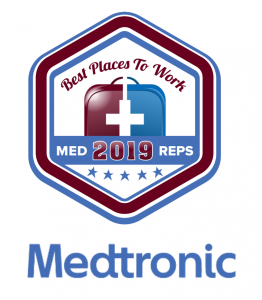 Over half (55%) of the respondents said they would like to work for a company whose primary products are medical devices, so it’s no surprise that Medtronic and Stryker – both device companies – earned the top spots overall, as well as in the device category. Johnson & Johnson, a family of companies encompassing device, diagnostics, pharmaceuticals and more, earned votes in every category, earning it the #3 spot overall, and the #1 spot in the pharmaceutical category. As you’ll see, the list of winners is made up entirely of large, Fortune 500 companies, however, over half of the respondents said they’d prefer to work for a small (11%) or medium-sized company (44%). These respondents wrote in the name of their ideal companies, giving us quite a lengthy list of nominees to consider. Ultimately, the companies with the most votes earned the official top spots, but we factored in qualitative data too. The comments accompanying nominations – especially those provided by current employees of the company in question – were given a lot of weight and ultimately helped us decide which companies deserved honorable mentions. What makes a company desirable? When evaluating an employer, sales reps pay close attention to the company’s product line. They want to know that the products they’ll be selling are quality products that the market actually needs. Over half (58%) of respondents seem to feel this way, selecting “strong product line” as the most important quality in a potential employer. About a third of respondents (29%) are a bit more forward thinking, saying the most important quality is a company’s commitment to Research and Development. This group wants to know that the company’s products will continue to be cutting edge. The remaining respondents said brand recognition (12%) and strong financials (9%) were the most important qualities in a potential employer. When it comes to corporate culture and employee growth, the most important thing a company can offer is competitive compensation – 71% of respondents placed this in their top two. Work-life balance also ranked in the top two for over half (58%) of respondents. A company’s commitment to promoting within was important to about one in four respondents. On-the-job training, social responsibility, and employee wellness were not as important. Medical sales jobs can be found at companies of all types and sizes. From small start-ups to Fortune 500 companies, the best medical sales reps have an abundance of opportunities available to them. Competition for top sales talent is fierce, so the most successful companies work hard to maintain reputations as great places to work. They must be doing something right – in our survey, 43% of employed respondents nominated their own employer for the award! Of course, amidst all the mergers and acquisitions taking place in the industry, it’s impossible for sales professionals to be certain that a company’s culture won’t change with the next merger. All they can do is evaluate the company for what it has to offer in that moment and research what other employees have to say about working there. They should also stay plugged into the medical sales job market, so if the culture shifts, they are ready to make a quick change. Despite the evolving industry, some companies consistently earn spots on multiple Best Places to Work lists, but not everyone can land Medtronic jobs, Stryker jobs, or Johnson & Johnson jobs . However, there are plenty of other medical companies with solid product lines that offer competitive compensation and comprehensive benefits. 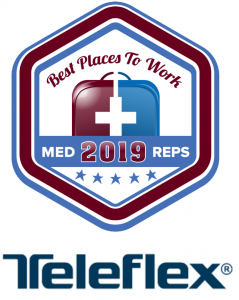 If given the chance, one of those companies just might get your vote for next year’s Best Places to Work in Medical Sales Awards.